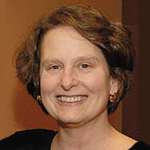 Carolyn Williams is Professor of English at Rutgers University in New Brunswick, where she has just completed six years as Chair. There she teaches courses on Victorian literature and culture, with an abiding interest in genre. Her first book, Transfigured World: Walter Pater’s Aesthetic Historicism(Cornell, 1989) describes the set of theoretical relations that make Pater’s version of aestheticism so powerful, considering aestheticism and historicism as intertwined and sometimes homologous epistemologies. In Pater studies, she has also co-edited (with Laurel Brake and Leslie Higgins) a book of essays, Walter Pater: Transparencies of Desire (2002) and an issue of the Pater Newsletter on Queer Pater Studies (2007). Her second book, Gilbert and Sullivan: Gender, Genre, Parody (Columbia, 2011) argues for a theory of parody that would focus on the form of its temporal and historicizing dynamic, as well as on the particular advantages of genre parody. See especially “Parody” and “Genre Parody” from the introduction. She is currently editing The Cambridge Companion to English Melodrama and working on a book tentatively titled The Aesthetics of Melodramatic Form, which will again be a study of relations between genre and form, a historical study of the “poetics of melodrama,” with particular attention to the segmentation of the generic form both by music and by punctual moments of tableau. Publications working toward that project have included: “Moving Pictures: George Eliot and Melodrama” (2000), the chapter on “Melodrama” in the New Cambridge History of English Literature (The Victorian Period), ed. Kate Flint (2014) and the entry on “Melodrama” in the Blackwell Encyclopedia of Victorian Literature (2015). “Parodies of the Pre-Raphaelite Ballad Refrain,” Nineteenth-Century Literature vol. 71 no. 2 (September 2016): 227-55. “Textual Time Zones and Figures of Relief in Marius the Epicurean,” JPRS: Journal of Pre-Raphaelite Studies 25 (Fall 2016): 53-72. “Melodrama,” in The New Cambridge History of English Literature: The Victorian Period, ed. Kate Flint (Cambridge University Press, 2012): 193-219. “The Gutter Effect in Eve Kosofsky Sedgwick’s A Dialogue on Love,” in Graphic Subjects, ed. Michael Chaney (Wisconsin, 2011): 195-99. “Walter Pater, Film Theorist,” in Victorian Aesthetic Conditions: Pater Across the Arts, ed. Elicia Clements and Lesley J. Higgins (Palgrave Macmillan, 2010): 181-205. “Parody and Poetic Tradition: Gilbert and Sullivan’s Patience,” Victorian Poetry vol. 46 no.4 (Winter 2008): 375-403. "Moving Pictures: George Eliot and Melodrama," in Compassion: The Culture and Politics of an Emotion, ed. Lauren Berlant (Routledge, 2004): 105-144. “Pater’s Impressionism and the Form of Historical Revival,” in Knowing the Past: Victorian Literature and Culture ed. Suzy Anger (Cornell, 2001): 77-99. "'Genre' and 'Discourse' in Victorian Cultural Studies," Victorian Literature and Culture, vol. 27, no. 2 (1999): 517-520.